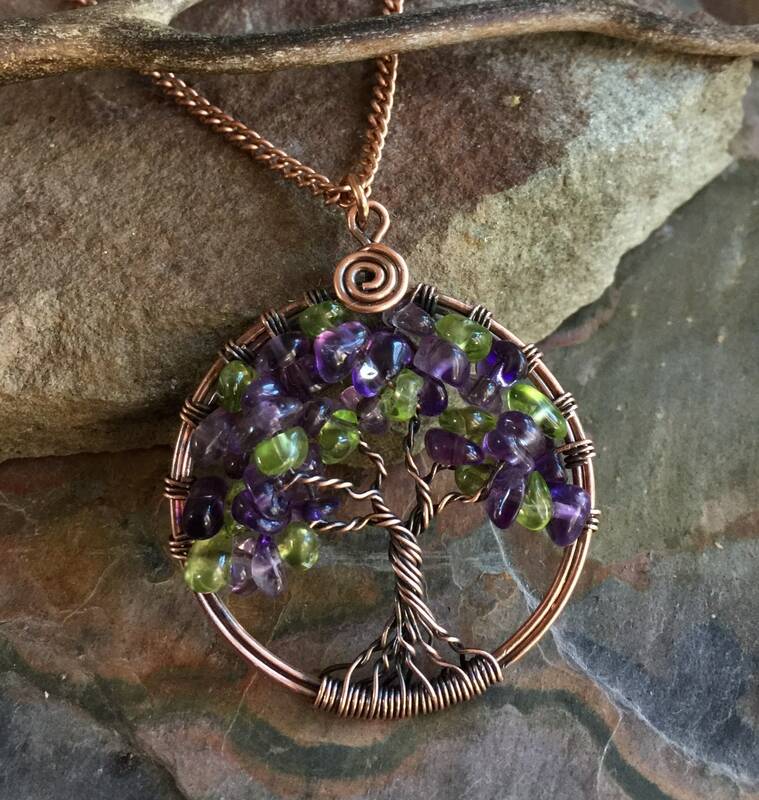 A beautiful Amethyst & Peridot gemstone tree of life pendant Necklace in antiqued copper wires. 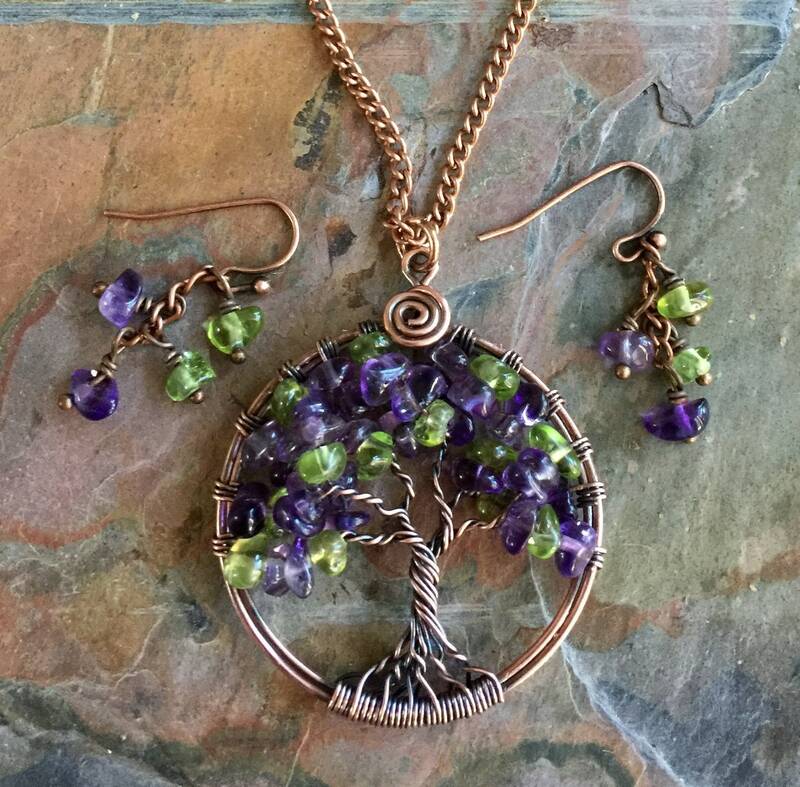 This wire wrapped Tree of Life pendant necklace is made with beautiful purple/lilac Amethyst and Peridot gemstones using genuine copper wires in various gauges, then I used the antiquing process to darken/patina the copper wires and then polished to give that warm & rich look of the finished tree of life. 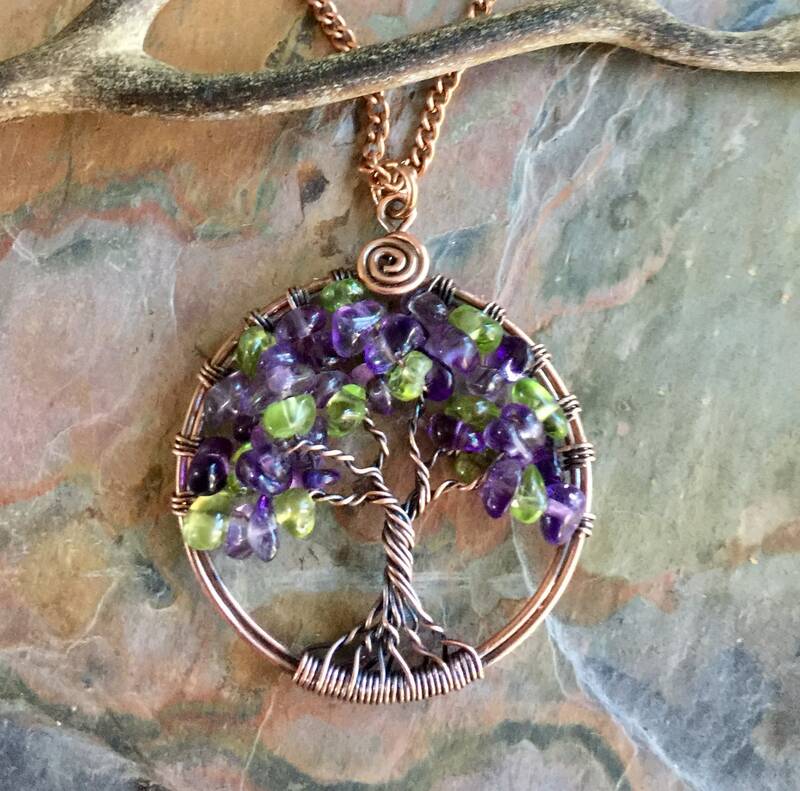 ~~The pendant measures about 1.50 to 1.55 inch in diameter without the bail. 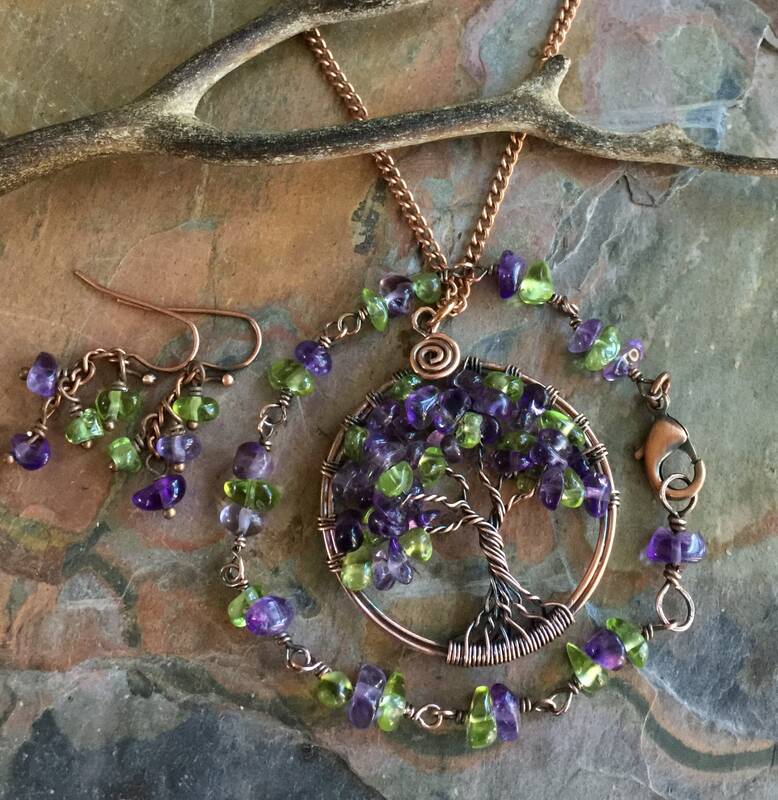 The pendant comes on an 18 inch plus 2 inch extender antiqued copper chain. 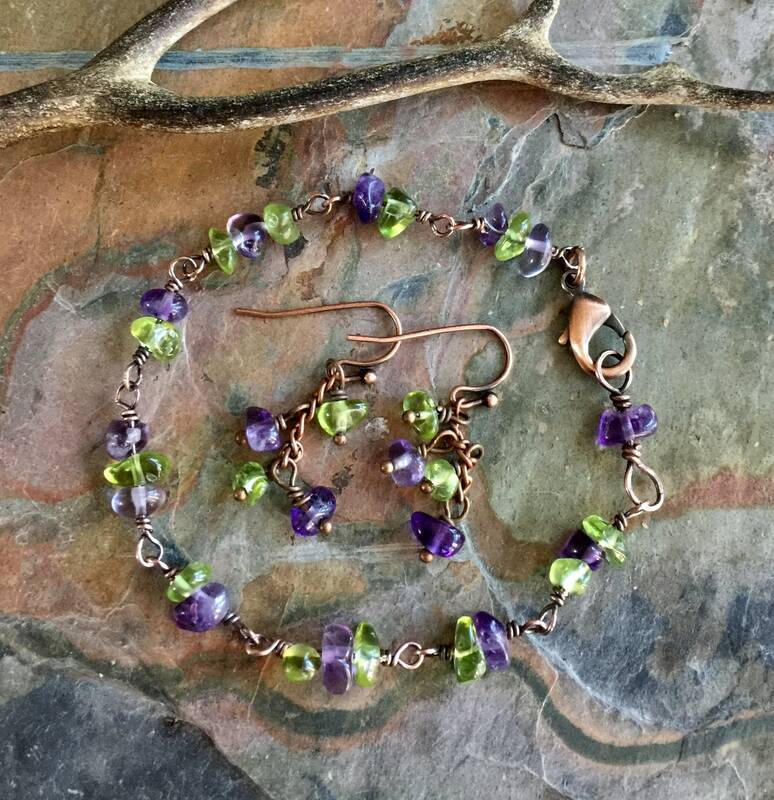 ** The matching bracelet is also made with same amethyst & peridot which tightly looped in antiqued copper wires. It measures 6.5 inch plus 1 inch extender. Custom length is available upon request. 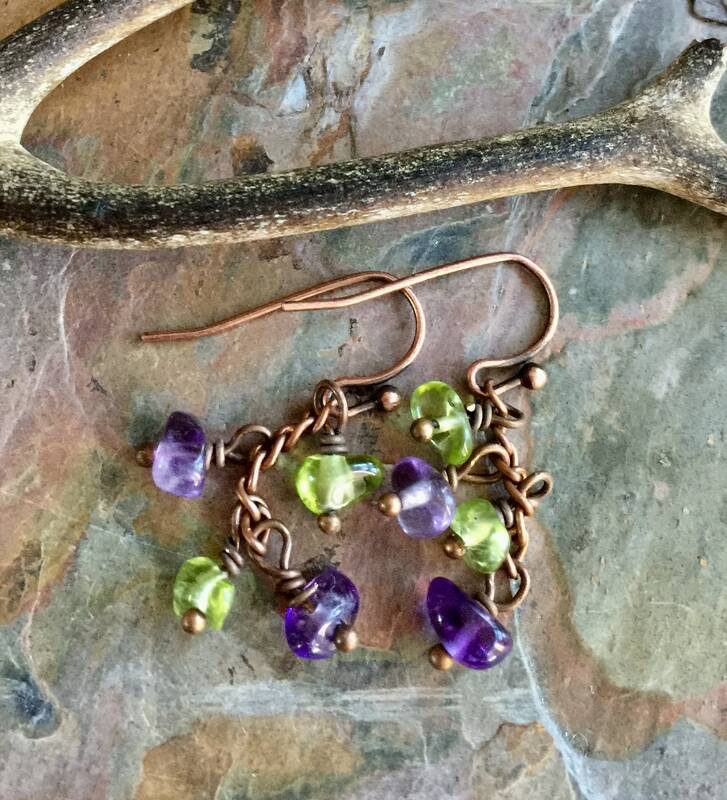 ** Matching earrings dangle 1/2 inch from the bottom of the antiqued copper earwires. This set is AMAZING!!!! Just gorgeous colors.